Showers or thundershowers will occur at several places over Northern, Eastern and North Central provinces. Showers or thundershowers will occur elsewhere over the island after 2.00 p.m. 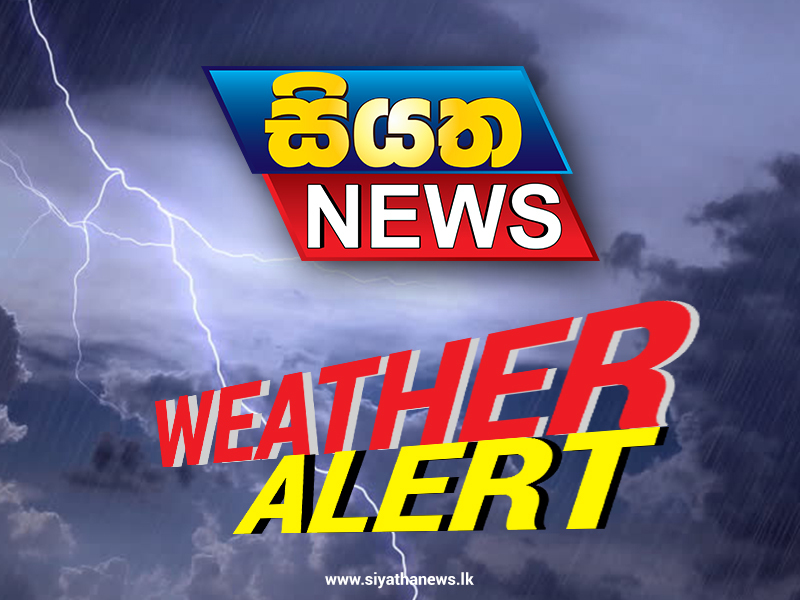 Heavy falls of about 100 mm can be expected at some places, particularly in the North-western, Western, Central, Sabaragamuwa and North-Central provinces. Fairly heavy falls around 75 mm may occur elsewhere over the island. Misty conditions may occur at some places in the Central, Sabaragamuwa and Western provinces during the morning.